I found this chest of drawers at Goodwill for $20 and thought I would show it some love with a fresh coat of paint and some new hardware. Since I wanted to protect the wood and take away any odors from the previous owners, I decided to give it a fresh coat of Dutch Boy’s Refresh paint in Cotton Blossom. This paint reduces odor (think laundry room makeover! ), is self-priming and is incredibly durable. 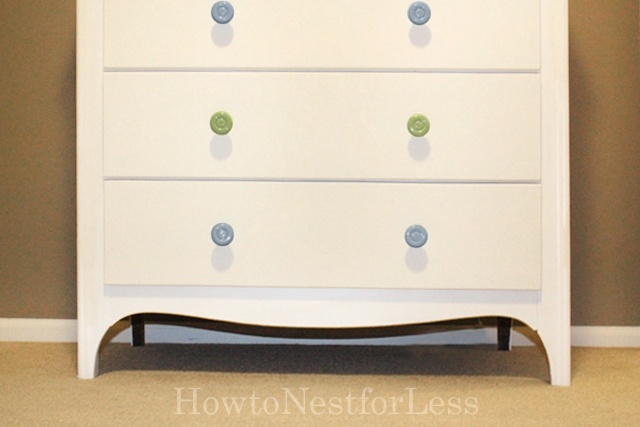 To prepare the dresser I filled the old drawer pull holes with some putty and sanded to a smooth finish. Next I used a small cabinet and trim roller to paint the top, sides, and drawers, and then a smaller brush for the detailed pieces. I did two coats of paint with drying time between the coats. I also lightly sanded down the dresser with some sandpaper between each coat to make it super smooth. 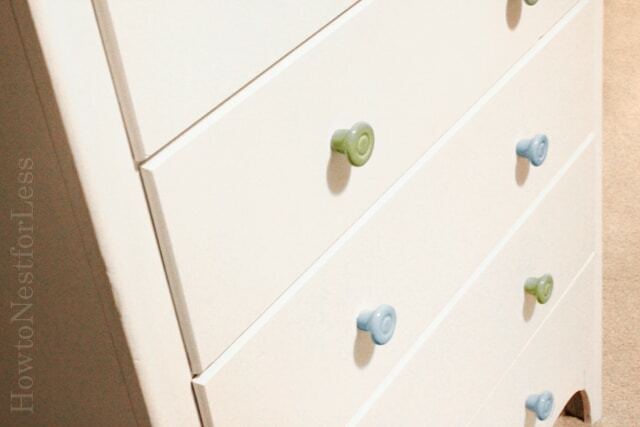 I found some adorable light green and blue knobs that were 50% off for only $2 each from Hobby Lobby. I measured each drawer and marked with a pencil where the new holes were going to be. I then drilled the new holes in all 5 drawers and screwed in the new knobs. And that’s it! 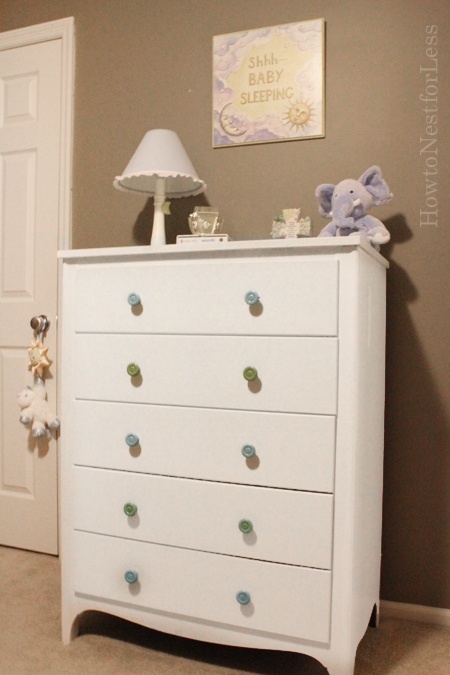 A completely transformed 5-drawer chest for less. 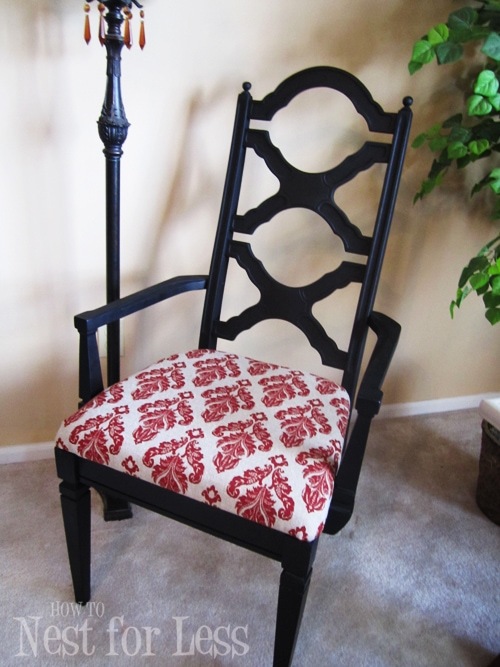 Plus the paint is scrubbable (perfect for a child’s bedroom, right?). 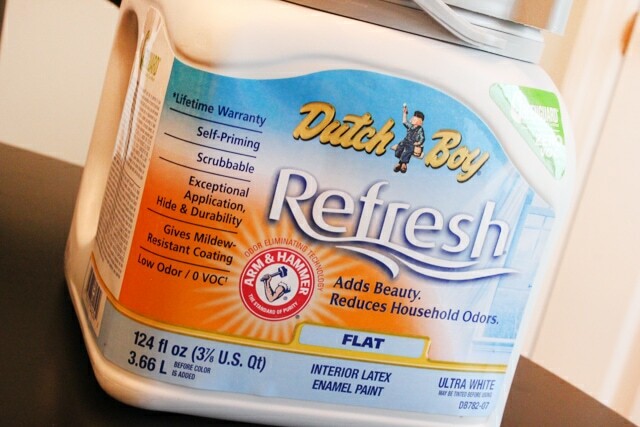 The Dutch Boy Refresh paint is also low odor and goes on super smooth! You can check out all the available Dutch Boy colors here. I fell so in love with this love antique white color (Cotton Blossom) that I’m painting a little side table as well for my family room. Hopefully I’ll have that reveal in the next week or two! Disclosure: This was sponsored post. All opinions are my own. « Home Goals 2012: Where Are We Now? Absolutely adorable! I love how it turned out especially the green & blue knobs. Love it!! Thanks Erin! I will definitely need to give this paint a try. I love the smooth finish and the added bonus of removing odor. One question though, you mentioned that it is durable, did you need to apply a protective finish for durabity? Thanks! No, I did not give it a protective finish for durability. The paint will cure to a hardened finish in about a week. No chips or scratches yet and we use it daily! This is so sweet! I love the color. Did the Dutch Boy paint take care of the odor? It actually did! I was quite surprised with the paint and covering the odor. It’s been about 3 weeks since I painted it and no problems yet! 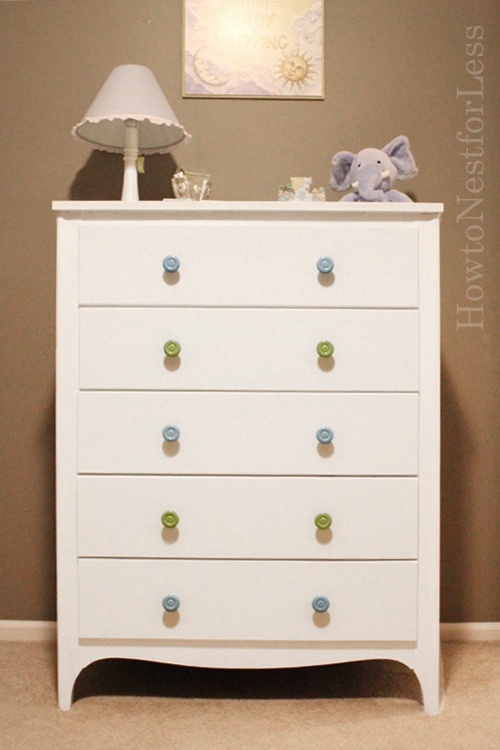 Such a cute dresser makeover. I love those knobs!! THanks so much Jen! Happy weekend to you!! 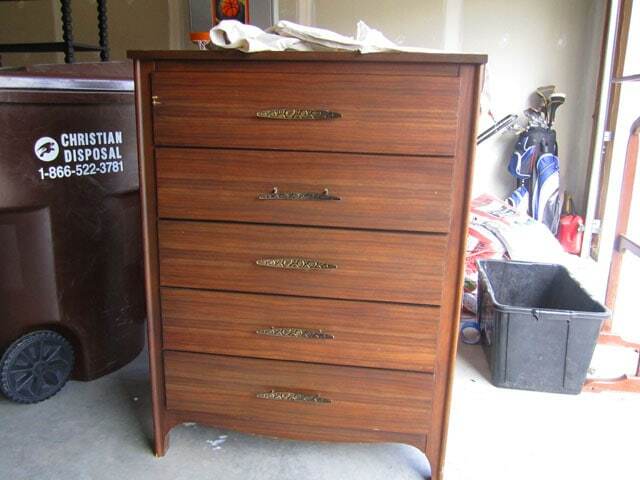 Did you need to sand the finish off before you painted the dresser?